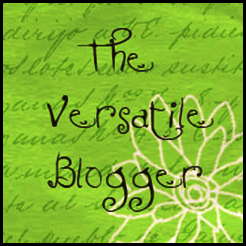 Add the Versatile Blog Award picture on your blog post. I intend to personally talk to them about the nomination. Can stare at my own photo (esp marriage photos) for hrs..
Dec11December 11, 2011 • By zradar • This entry was posted in My thoughts & Interests and tagged award nomination, awards, recognition, versatile blogger award. Bookmark the permalink. ← Do you have a role model??? congrayts on the award .. and well done you deserve it ..
and good 7 points .. now i know a bit more about you..
As I had told in my reply to your comment, I have done this tag twice 🙂 Can I just give the links to it? OMG! !she did the make up for you? Thanks Z for dropping by my blog and of course, the nomination. p.s: going through some of your posts to get away from the monotonous work. *_* office blues. Thank you so much…I am deeply honored. Thanks for hoping over Joshi. yeah a award means a lot to any blogger. Hi! Am sorry to be so so late here! Was not blogging and was wondering how to come back? Thanks a ton… this tag has given me a fresh start… I hope to write soon for this tag! And again thanks for giving this award to me… my first ever! And congrats dear! its a wonderful feeling to be recognized and appreciated by our fellow bloggers! Will read ur blog after finishing my post… thanks! Finally I picked up the tag and wrote a post about it! U can chek it here..